As the sunshine warms the earth, it's time to start thinking about your garden. Spring is the perfect time to introduce your children to the joys of gardening. They're curious, learn by doing, love to play in the dirt and benefit from the bounty of natures gifts. Perhaps you are looking to grow edibles or plants for attracting butterflies, hummingbirds, pollinators and other wildlife to your yard. What ever you are looking for, Bay Area families can choose from an incredible array of beautiful, organic and native plants for a variety of garden sites and styles. Here are SIX amazing places holding annual sale/fundraisers. Get your garden ready for summer at our spring plant sale, co-sponsored by the Marin Master Gardeners. Browse a fine selection of unusual native perennials, bunch grasses, and shrubs grown from seed, cuttings, or divisions and will offer expert advice on which plants do well together. Limited quantities of unique native seed packets will be for sale as well as a wide selection of native plant books, educational posters, and notecards. Despite the recent rains, waterwise gardening in the Bay Area is smart and sensible! The Garden offers a wide selection of drought-resistant plants from around the world, including an extensive selection of California natives. Shop for exotic, unusual, and hard to find plants: rare cycads and palms, carnivorous plants, cacti and succulents, vines, tropical specimens and more. There is something for everyone at the Spring Plant Sale. TomatoPalooza! Calling all tomato fans and gardeners. Visit Bon Air for the annual Tomato Market and plant sale. This event features a curated selection of 2,500 tomato starts from the UC Cooperative Extension Master Gardener program. Nine heirloom and eight hybrid tomato varieties have been selected for their exceptional taste, superior growth habits, disease resistance and performance in Marin’s microclimates. Grown from seed by Marin Master Gardeners at San Rafael’s Falkirk greenhouse, the ready-to-plant tomato starts are $4 each. Tomato experts and Marin Master Gardeners will be on-hand to answer questions and offer Marin-specific watering and growing tips. The tomato starts go quickly, so early arrival is recommended. 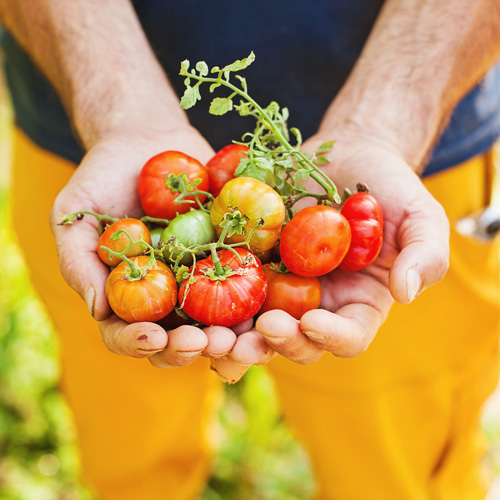 The Marin Master Gardener Tomato Market and Information Exchange will feature 9 heirloom, 8 hybrid, and 3 open-pollinated tomato varieties selected for their exceptional taste, superior growth habits, disease resistance, and their performance in Marin’s microclimates. The Annual Spring Plant Sale is an important fundraiser for the Garden and is the largest of the Garden’s monthly plant sales with succulents, edibles, natives, alpines, rhododendrons, ferns, perennials, houseplants, shrubs, trees, and more. Library Used Book Sale: Peruse the largest sale of used gardening books in Northern California! Proceeds from the sale help support learning and engagement opportunities for nearly 400,000 annual visitors, Northern California’s most comprehensive horticultural library, an extensive volunteer program, and programming for more than 13,000 children each year. Edible Schoolyard Plant Sale this year on Saturday, May 11th. Stay tuned for more details.